Dr. Lu Wei is an associate professor of Computer Science Department at Renmin University. 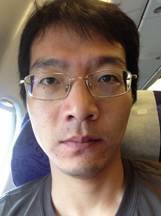 Before joining Renmin University, Dr. Lu worked as a research follow of Computer Science Department at NUS during July, 2011 to Sept. 2014. He was a research assistant of DKE group at university of Queesland, Australia during Dec. 2007 to Dec. 2008 and of Database group at National University of Singapore, during June, 2010 to Dec. 2010. Dr. Lu got his Ph.D degree from Renmin University, Master and Bachelor Degrees from both China University of Geoscience (Beijing).